Henny's Chiltern MS Blog: FULL HOUSE! Sometimes everything just clicks, and falls into place. Like now. Almost like the air shimmering when a ghost has just walked by. Something has changed. What? A barely audible 'thunk', while the clock hands reach twelve or a key turns in a lock. Or perhaps you feel the earth rumble briefly under your feet: one tiny degree in the earth's orbit. Or was it just a 'tube' train on the London Underground going past? What has happened? I have been through a long winter of waiting, waiting, waiting. (Patience is not something that comes easily to me). So it has been icy cold and hard, hard, hard. But now that there is blossom outside my window again, everything has started to bloom all at once: several different projects have come together simultaneously. This week's project has been in the diary for a long time: Media Training with a group of the Leadership Team at the Centre: Occupational Therapy and Business Development were represented, along with our CEO, Robert Breakwell. (Session 2 will train a different group in 2 weeks' time). The aim of the training was to help make the team more effective in representing the Centre to the media and the press (something they are increasingly getting an opportunity to do these days). This is mainly thanks to the tremendous job that is being done by my co-trainer, Catherine Golds. 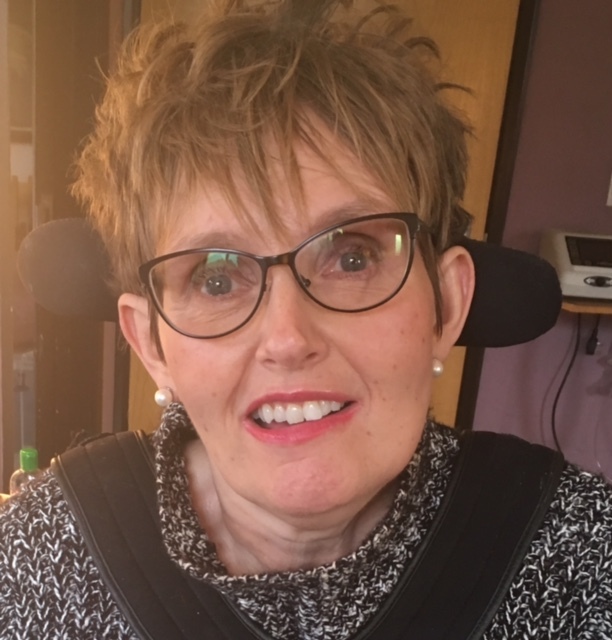 Catherine is a Centre Trustee, volunteer PR manager, general good-egg and fellow customer of M&S (my beloved sister - yes you guessed it, she also has the condition – and I, have jokily referred to MS as Marks and Spencer's, for years). The session went extremely well, as feedback confirmed. I really enjoyed working with Catherine: I think we made a good duo. And as you would expect, the Leadership Team came across fabulously well: passionate, professional, warm and real. A precious and rare concoction that the media will feast on. Me, I was a little apprehensive beforehand. After all, it is about 8 years since I last media trained anyone. (For me, M&S has changed and developed a great deal in that time). In my darker moments, I feel a bit 'broken': a busted-up thing, forgotten and gathering dust in a corner somewhere. But I needn't have worried because I was amongst friends. People who can see through the M&S to the person underneath; allowing them to do their best and still make a contribution. I felt useful. And it made me feel really happy. Happy to be able to be of service to the Centre that over the years has given me so much. That day, my huge debt of gratitude became just a tiny bit smaller. Thank you yet again, Centre, for giving me that opportunity.